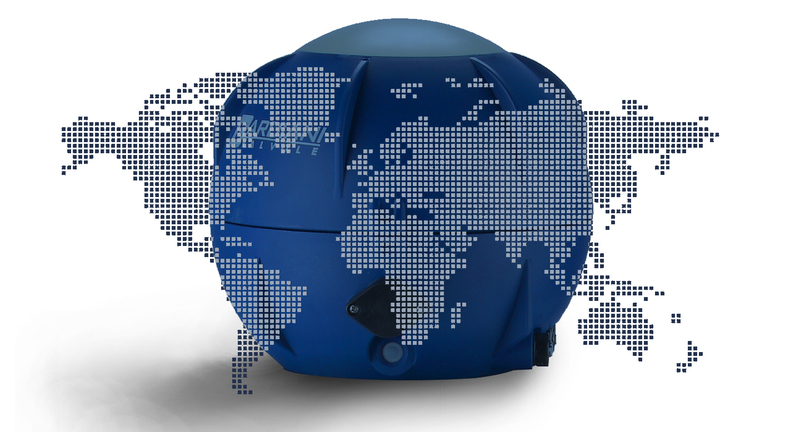 Everything begins with a study of the specifications and objectives outlined by the customers. For Bardiani Valvole the first step, to all intents and purposes, involves providing consultancy on the most suitable parts for reaching the desired results. After having selected the valves and customized them (if necessary) and once perfect integration in the plants has been defined, Bardiani works for the user technicians, giving them all the necessary indications and organizing maintenance courses. 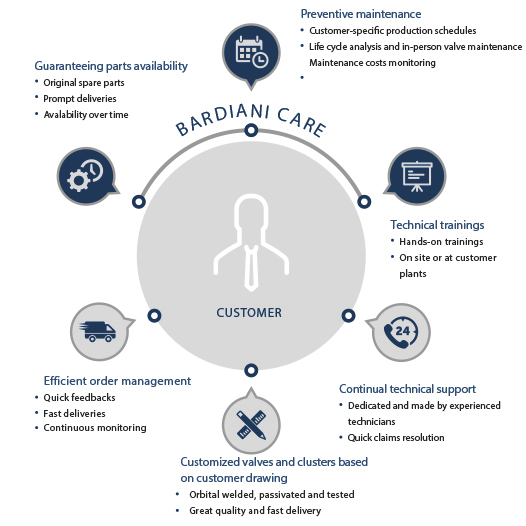 As a further service for customers, Bardiani guarantees fast delivery times of spare parts and availability over time. The Bardiani Care program is reserved for those customers who want a more complete and trouble-free service. 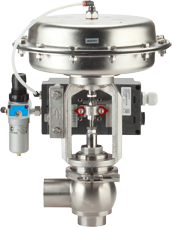 The system includes a detailed census and periodical checking of the overall state of the valves. By planning maintenance with scheduled checks it is possible to increase the efficiency of components and reduce problems to a minimum, while keeping costs monitored. To this, the Bardiani Care program adds a guarantee of immediate availability of spare parts to ensure production efficiency is always kept at maximum levels.